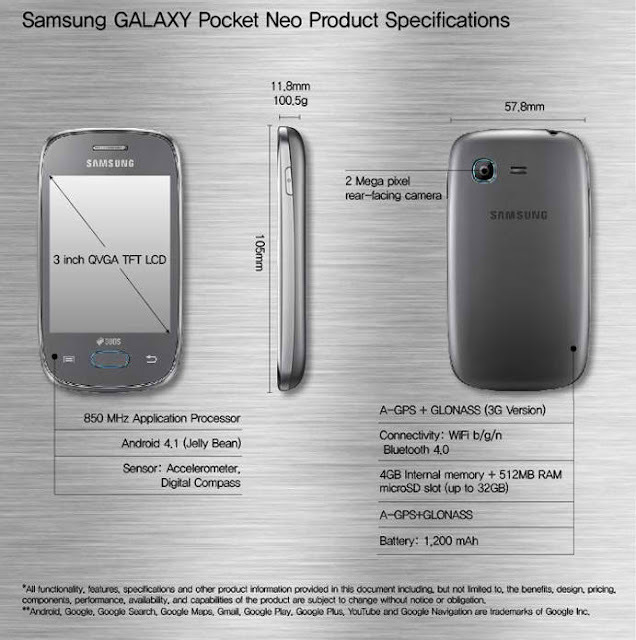 Samsung Electronics on Wednesday, 3 April 2013 announces the latest addition on the Galaxy family - the Galaxy Star and Galaxy Pocket Neo, both a budget-phone that runs on Android Jelly Bean OS. The new phones which are almost identical in specs feature a dual-sim functionality. Samsung said that the new devices are perfect for the younger generation of mobile users. The GALAXY Star and GALAXY Pocket Neo are designed with a stylish, compact form factor and packed with the latest Android user experience, intuitive navigation and multimedia and content sharing possibilities. The GALAXY Star and GALAXY Pocket Neo are powered by a 1GHz and 850 MHz processor, respectively, for powerful performance, smooth UI transitions and fast internet, which make watching videos, navigating apps, playing games, surfing the web and multitasking quick and effortless. Both devices also feature 4GB of internal storage with up to 32GB of expandable memory to store all your favorite apps, music, videos, photos and more. 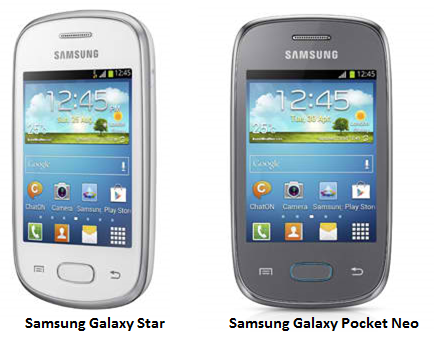 Galaxy Star and Pocket Neo both have a 3-inch QVGA TFT LCD and 2 Mega pixel rear-facing camera. Another similarity is the internal memory and RAM specs. 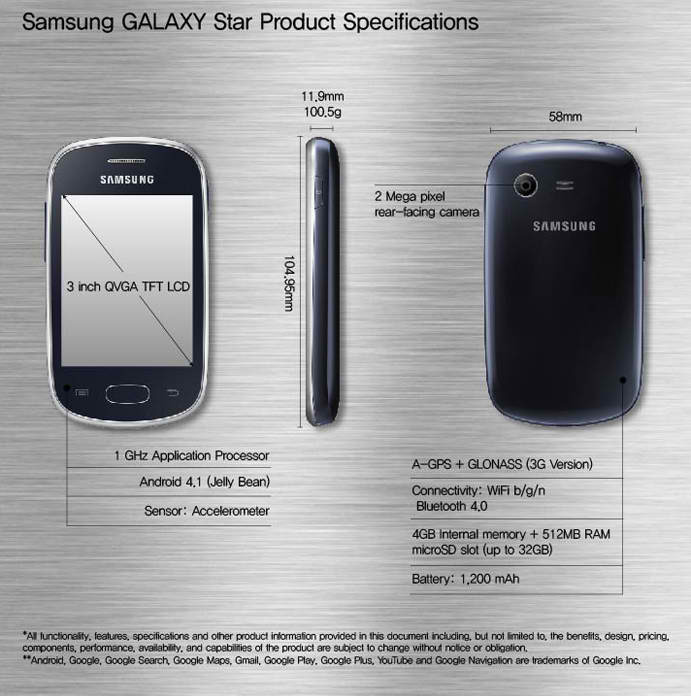 Star and Neo are designed for 4GB internal memory plus 512MB RAM. According to rumors, the cost might not more than 150 euro or 190 dollar which is around 7~8K in Philippine peso. Techclap.com, India's finest blog said that Galaxy Pocket Neo will be the first to arrive in mid-May. Info about Galaxy Star is not announce yet. July 4, 2013 Update: The new Samsung Galaxy budget-phones are now available in the Philippines. Pocket Neo, and Star are part of Galaxy of Fun line that will battle it out with other brands’ budget phones. According to Samsung Philippines, Pocket Neo costs P4,990 while the Star is priced at P3,990.